"Hygiene profitability" is not a play on words. It's possible, but you'll have to be willing to take control of your business (yes, the hygiene department is a business within the business called "your practice") and you'll need to get out of your comfort zone with your patients and discuss comprehensive care. In the United States in 2015, a patient can expect to pay $60-$130 for a dental cleaning. A good hygienist will cost, in salary, anywhere from $30-$45 per hour; and yet, insurance companies will typically offer very little in the way of reimbursement to the office for the hygienist’s time. In fact, most often the reimbursement won’t cover the cost of the hygienist for the hour. By the time you factor in other services such as the dental exam, x-rays, the time the dentist spends with the patient, material costs, etc., you have spent more money than you’ve made on cleaning this patient’s teeth. On top of this, last minute cancellations or no-show appointments make it challenging to keep a steady stream of patients with more labor-intensive issues (crowns, fillings, orthodontics) flowing toward the doctor. When we look at the hygiene department through this traditional lens, it’s easy to see why most dentists consider the hygiene department to be a financial struggle within their practice. Remember, you’re running a business and your job is to remain profitable so that you can keep employing the people in your practice and keep your patients healthy. Your “Direct Operating Costs” is a target number that each practice ought to know. It will vary from practice to practice but essentially this is the amount of money you need to make in an hour in order to break even. There are 52 weeks in a year – but let’s adjust this to 50 weeks in a year to account for the hygienist’s vacation time. 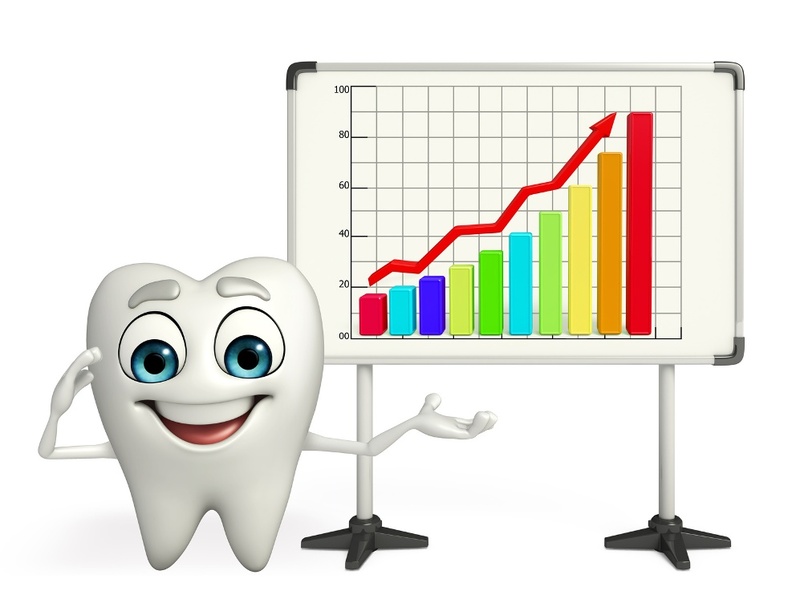 The average hygienist works 4 days per week, and has 8 appointment slots available per day. This means that, if all appointment slots are filled for the entire year (200 production days), the hygienist brings in $248,000 annually. And, if you consider that the hygiene department should statistically contribute 30% to the total production of the practice. Including the Drs. efforts the practice would be generating about $827,000. That sounds pretty healthy. However, if that same hygienist has just one (1) empty slot every day – say, due to a lack of loyal, active continuing care patients in the practice, or worse, a cancellation or no-show – her annual income contribution drops by $31,000... and you still have to pay the hygienist her hourly rate. A couple of empty slots can get expensive. I ran a seminar in Denver recently where I walked the doctors through this exact same equation on the power point screen. I looked up and one of the dentists sitting in the front row was absolutely white as a ghost. It is critical to have systems in place that keep patients in the chair and make your hygiene department profitable because the math and the dynamics of hygiene are absolutely against you. I’ve written previously on strategies to encourage patients to honor their appointments, which is an important part of the equation to offset lost revenue. For today, let’s focus on strategies to actually make the hygiene department profitable so you can maximize potential revenues. The best time to talk about other health-related services is when your patient is already sitting in the chair. At this point, their oral health is in your hands – they’ve already demonstrated that they trust you and they believe that their dental health is important. Now your job is to present to them all the valuable services that will bring a higher standard of care to their visit. For instance, some of the offices I work with present their patients with the option to have an advanced oral cancer screening. An oral cancer screening is a great example of raising the standard of care: according to the American Cancer Society, in 2015 a patient will die every minute from oral cancer in North America. Comparatively, there are more cases of oral cancer conditions in the United States than there are of cervical cancer. Clearly, oral cancer is an important matter to address. And yet, many patients, especially those receiving a visual/tactile screening, aren’t even aware when a dentist is checking them for signs of cancer because it has been bundled under the umbrella term “exam.” It needs to be part of the health discussion. When the patient doesn’t know that the exam is being conducted, they cannot assign a value to the service or take ownership over their own preventative oral cancer health. We began this conversation by talking about how to make your hygiene department profitable. Here’s how you do it: you must isolate and demonstrate the value of the service you are providing to the patient, and offer them a higher level of care which they can pay for out of pocket. Let’s continue on the oral cancer screening example. As you know, there are several ways to conduct an oral cancer screening. The doctor will examine the patient visually. She might squeeze the lymph nodes in the patient’s neck, check around his cheeks and jaw. I’ve personnally experienced dentists will also check behind the neck in search of lumps and unusual growths. When the dentist sits down to examine her patient, she can explain what she is doing and why she is doing it. Most often, the patient will be willing to have the x-ray taken when he or she understands why it is beneficial to their health. After all, they came to the dentist because it’s important to them to take preventative health measures. If your office is equipped with any advanced screening products, I encourage you to consistently offer the service as an add-on to your patients’ regular exams. You and I both know why it is important to detect cancerous cells as soon as possible; your job is to communicate that information clearly and openly to the patient so she or he can make an informed decision. Thinking back to our earlier hygienist who brings in $155 per cleaning, 8 times a day, 4 days a week for 50 weeks (grossing $248,000 annually), let’s imagine this hygienist offers each patient a $30 advanced oral cancer screening. Conservatively, let us imagine that 50% of those patients say yes. This hygienist has just added $24,000 annually to the practice. 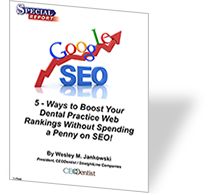 If the practice has three hygienists, that comes out to $72,000 per year for the practice. Now, add the $72,000 gain to the $93,000 improvement from the earlier exercise by tightening up your scheduling. A $165,000 annual increase ($55,000/hygienist) in hygiene production would give any Dr. a whole new perspective on "hygiene profitability". And this doesn't even take into account other care options like sealants, adult fluoride, tobacco counseling, etc. What is your experience with your hygiene department? Do you see it as a profit center, or an expense? Leave a comment in the area below to chime in. Are You Worried About The Future Of Private Practice? Learn 5-Key Strategies To Position Your Practice For Success!